Welcome! Glad to see you drop by. The leaves are really beginning to change colors and some are beginning to fall. The sugar maple by our front door has dropped a lot of leaves on our front walkway, so it's almost time to start raking! 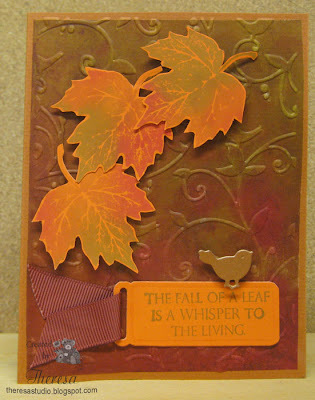 And also time to make some more Fall cards and today I am doing a clean and simple design. I started with a sketch from CAS Colours & Sketches shown below. I stamped a GKD Leaf Border stamp from A Year of Borders at an angle on GKD Ivory Card Stock with Memento Espresso Truffle ink. I simply colored in the fall image with Copics E29,34,35,37,YG03,63, and YR21 and 65. I stamped the sentiment from GKD Stippled Nature with the same ink below the image. 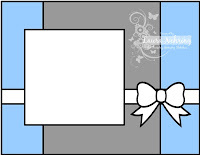 The image was attached to a GKD Brown Card Base. Doesn't fall always make you remember family and friends a bit more often? Hello! 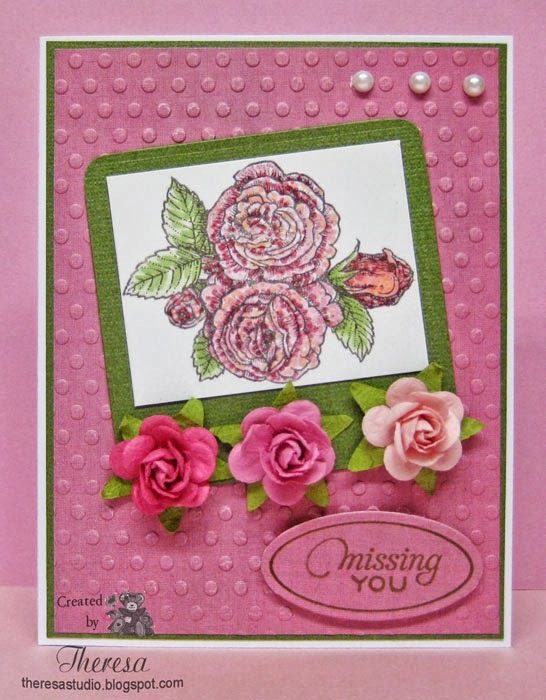 Today I am posting a card made with Flourishes stamps for the challenge at Timeless Tuesday to use dots to color your background and/or part of your image. I had colored a background of white Cardstock with multi color dots but decided it was way too busy with my image so nixed that idea. I stamped the Rose from A Year of Flowers with Memento Espresso Truffle ink on white cardstock and colored the petals with dots of Copics R20,81,83,85 and the leaves with G40,82, and YG 03. Need a bit of practice with this technique of pointillism. 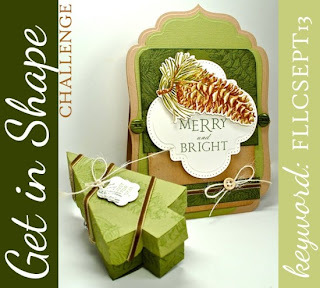 I used a sketch from Tuesday Morning Sketches to assemble my card design with a white card base, layered with a mat of green, a layer MME's paper embossed with Cuttlebug EF Polka Dots, and a die cut layer of textured green cardstock under the image. Used a corner punch on the corners of the green mat. Added 3 Prima roses of varying shades of pink and 3 pearls to embellish. I was trying to pick up on the colors of the pink "points" in the rose. 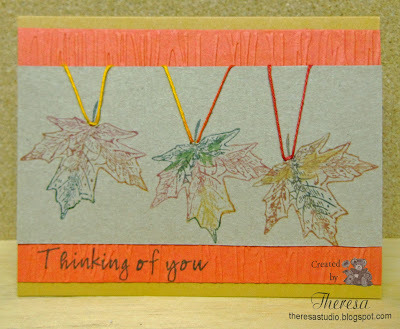 Sentiment from Flourishes Timelines was stamped with Memento Bamboo Leaves ink on an oval cut with Spellbinders die and outlined with Memento Marker. Rectangle dies, Oval die and a corner punch. My stamps and flowers are over 6 months. Hello! 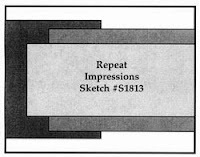 Today I have a quick post of a card that I made for the sketch challenge #S1813 at The House That Stamps Built. 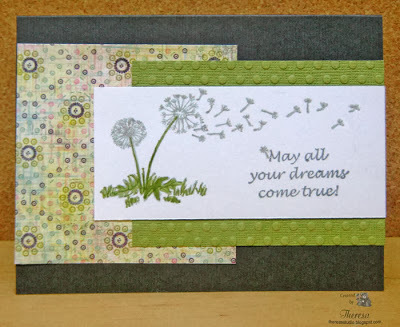 I used stamps from Repeat Impressions.....the Dandelion was stamped with Memento London Fog ink and colored with Memento Bamboo Leaves Marker and Clear star pen for some sparkle. I modified the flow of the seeds a bit to fit the sketch by masking and stamping in two steps. 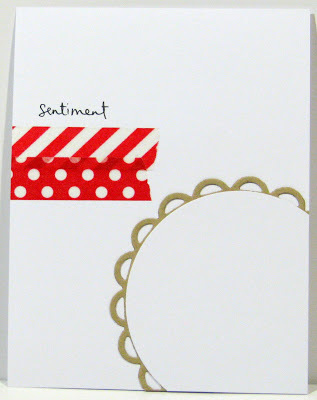 The sentiment is also from Repeat Impressions and stamped with Memento Gray Flannel ink. The card base is Dark Gray textured cardstock and the pattern paper is from BasicGrey Sweet Threads paper pad. The Green Cardstock layer was embossed with Cuttlebug EF Polka Dots. Today, I have a very simple card made for Stamp TV Mix it up Monday Challenge Hanging Around -to create a card or project that incorporates some type of hanging element such as a tag, a frame, a sentiment, an image, etc. I simply stamped a leaf from GKD Signs of Autumn 3 times inking up with Memento Markers Cantaloupe, Rhubarb Stalk, Northern Pine, and Potter's Clay on to khaki cardstock and used multi colored twine to "hang" from the top. 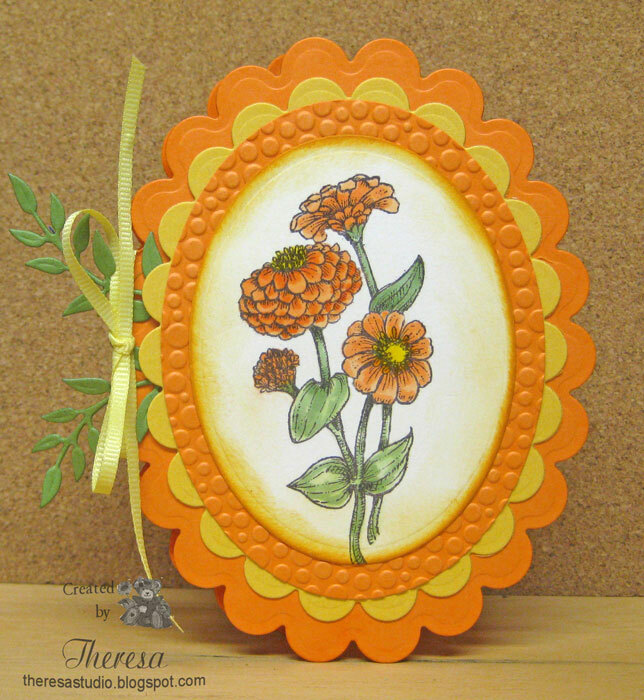 Used GKD Honey Mustard CS as card base and a layer of Tomato Soup CS. The red layer was embossed with Cuttlebug EF. Finished with a sentiment from GKD Stippled Nature stamped in Memento Northern Pine ink. 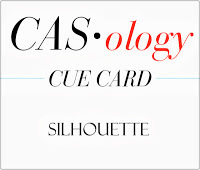 Cards for Men: String it up. Hello! 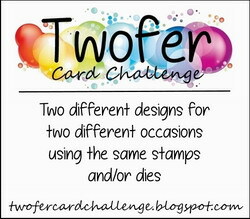 Recently I saw a post on OWH blog about using coffee filters on your cards. The great thing is that these filters do not add weight to your cards. But the bad thing is this technique can be rather messy. The technique was shown by Penny Ward on her blog here. Thanks to her for showing all the steps of using the filters. I used SU Reinkers Real Red, Old Olive, More Mustard since they were still on my work space. I stamped on the filter with Versamark using aPSX leaf stamp and embossed with clear EP. I then added drops of ink and spritzed with water and laid the filter on the color doing each color separately. After the filter dried I smoothed out and glued to cardstock. 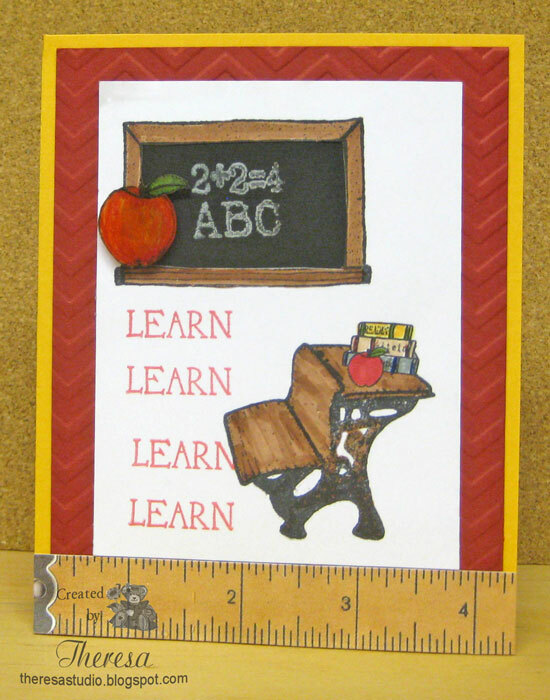 I cut out to the desired size and added to a card base of GKD Green Cardstock. I added a GKD Sentiment with Versamark ink and embossed with White EP. This technique acheives a vey artistic look. Thanks to OWH and Penny Ward for sharing this fun tutorial. I printed a digi from my files from Birdie Brown on white cardstock and colored the tree with Copics and the leaves and apples with pencils and OMS. I stamped the SU Sentiment with Memento Rhubarb Stalk ink and added green with Memento Bamboo Leaves Marker. The bird that landed in the tree was cut with a Marianne Die from a scrap of red cardstock. I glued the image to a mat of textured green cardstock and a base card of Pumpkin cardstock. My leaf embellishment of Green Vellum paper was made with a PSX Maple leaf stamp using SU reinkers as shown in my earlier post today. 613 Avenue Create: Anything Goes with a twist "Happy Fall Y'all". First time to enter here. Cute Card Thursday: Hip to be square. I love the feel of fall and the colors of fall leaves. 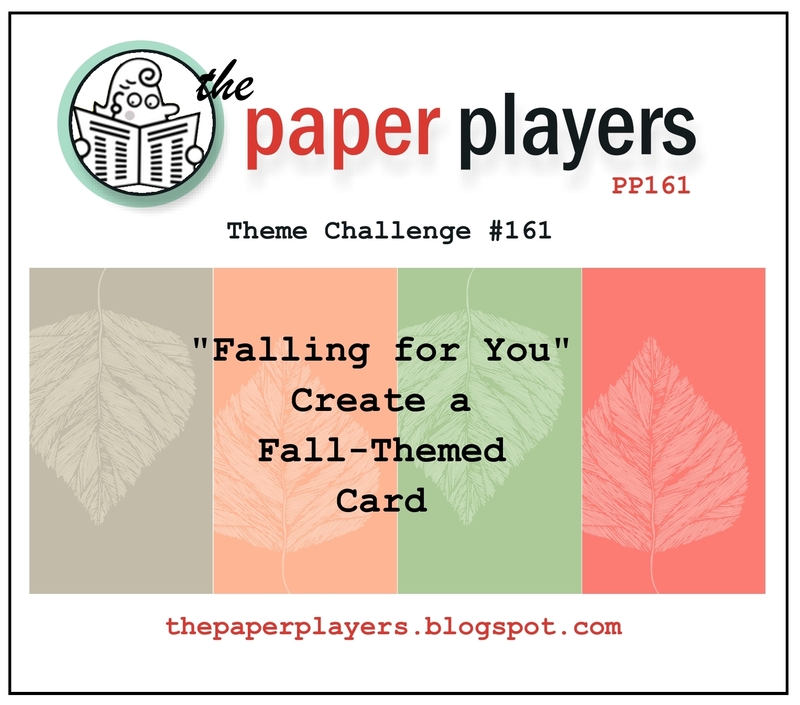 This week Joan's Gardens has a fall color challenge - Include Leaves on your card , Fall colors, Tree and/or bird , and use a product sold at Joan's Gardens. I made the background paper using a sheet of clear vellum paper and drops of SU reinkers Real Red, Old Olive, More Mustard, and Ruby Red squirted on a crafting mat. 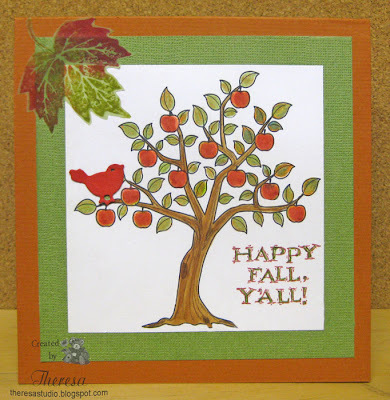 I laid the paper on the mat and created this very fall colored paper. After drying my vellum paper, I attached it to cardstock and embossed with Cuttlebug EF Birds and Swirls. I glued this to a base card of Pumpkin. 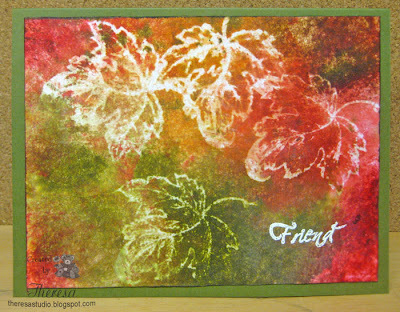 Since I had out the reinkers, I then added ink to some paper towels to create a multi color pad of the fall colors. Using an old PSX Maple leaf stamp I stamped leaves on Orange cardstock and fussy cut and placed with pop up dots on my card. The sentiment from GKD was stamped with Memento Espresso Truffle ink on the orange cardstock and trimmed with a Spellbinders tag die. Added a bit of grosgrain ribbon. Also added a bird of Copper Metallic cardstock punched with a Marianne die. Oldie but a Goodie: Dies and Punches...Used very old stamps from PSX and GKD. Dies are also over 6 months old. Sorry the photo is a little crooked. This card is for Flourishes Timeless Tuesday challenge to make a good impression - we are to use dry embossing somewhere on our card. 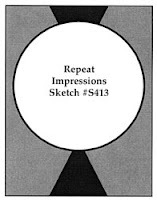 I started with a sketch from Tuesday Morning Sketches shown below. 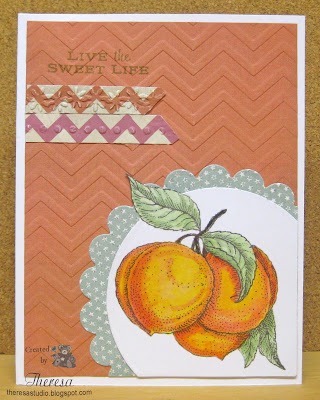 Using white cardstock as my card base I added a layer of MME paper embossed with Darice EF Chevron. 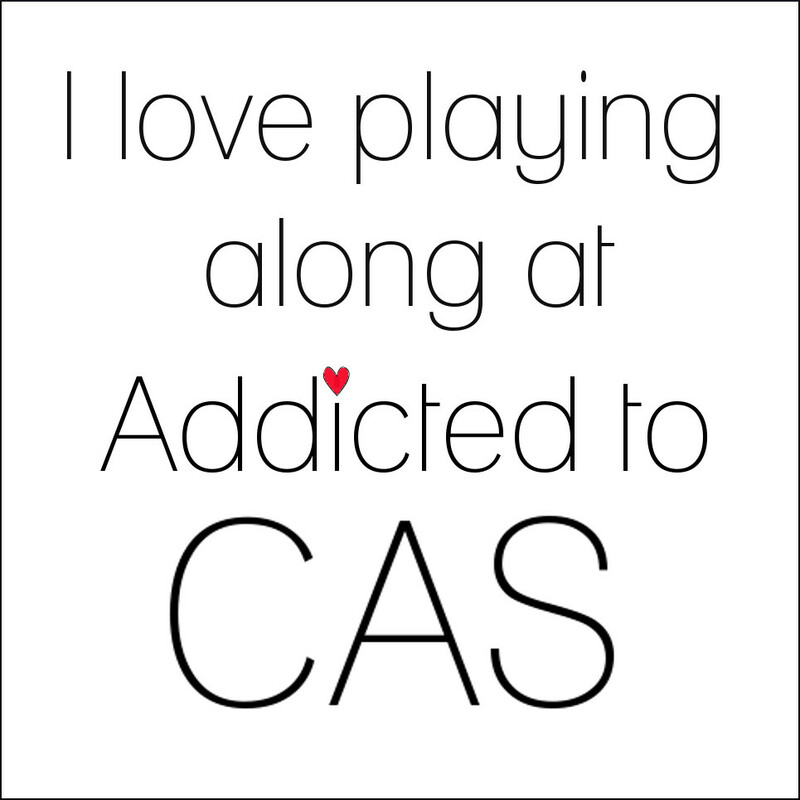 This is how I am making my good impression. For my focus, I stamped Flourishes Peaches stamp from Cherries and Peaches with Memento Espresso Truffle ink and colored with Copics G40,21,82, Y000,02,06,21, YR09, R22,24,43. 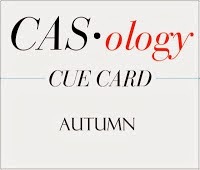 I cut the image out with a nesties circle die letting the leaf extend beyond the circle. I adhered this to a scallop circle of MME green pattern paper to which I added glitter to the stars with a Clearstar pen. Added some strips of chevron pattern paper which I also embossed with Cuttlebug EF Borders from With Love set-one with dots and one with flowers. 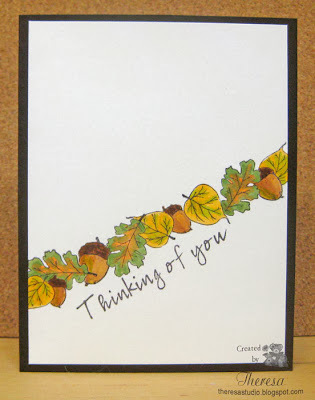 I finished the card by stamping a sentiment from the same Flourishes Stamp Set with Memento Bamboo Leaves ink. 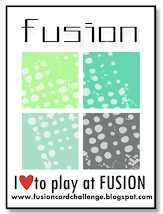 Simon Says: Wednesday Challenge-Emboss it. Used dry embossing. 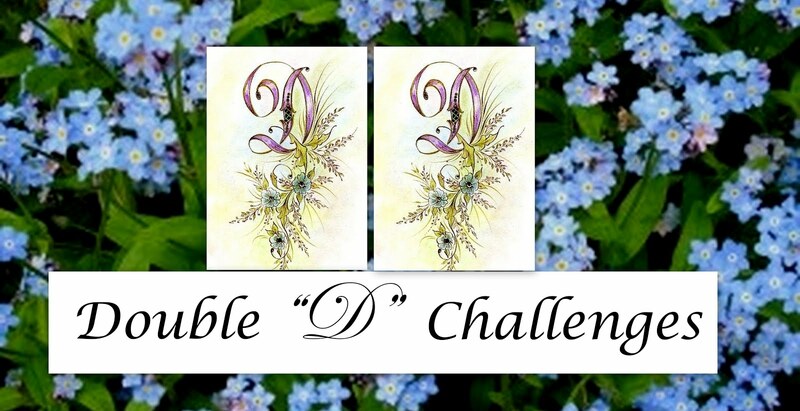 I read the rules for Timeless Tuesday several times and found no rule that this challenge could not be combined with other challenges as Flourishes states some times. So I am combining with 2 other challenges. 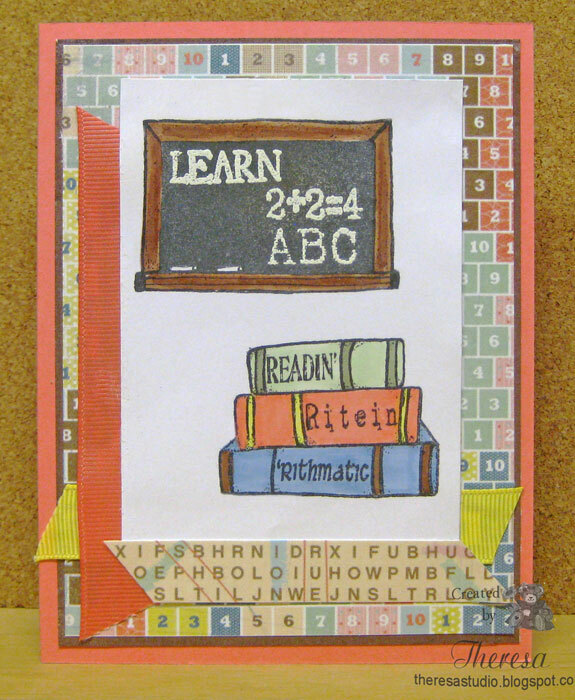 Today I have another Back to School themed card that I have made with some old BasicGrey pattern paper from the Hopscotch paper pad. I have been trying to use up some of my old stash and scraps. I pulled colors from the number pattern paper to use in my image and card base. I stamped the blackboard (guess they are green today) with Memento Tuxedo Black ink and wrote on the board using stamps with versamark and embossed with white embossing powder. The stack of books was also stamped in the black ink and colored with Copics B45, E25,G40,G82, R22. Other paper used was White Cardstock from stash and SU Coral cardstock. Ribbons from stash are coral and yellow grosgrain. Stamps used from Mark's Finest Papers Lesson Learned. 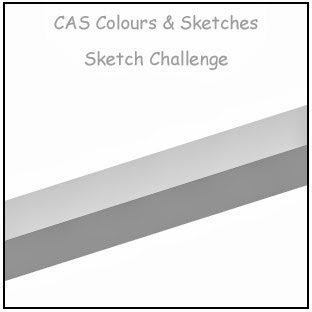 Used Sweet Sunday sketch but missed the deadline for their challenge. 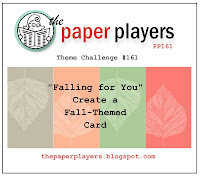 My post today is my entry for three challenges including Craft A Scene whose theme for the month of September is "Dusk to Dawn". I am not too experienced in doing skies but I knew I should have a sky to show dusk to dawn with maybe a moon. I decided to create a cold wintry scene because hills with snow would be simple enough to create foreground and background with feeling of dimension. I first stamped the trees and deer in Memento Tuxedo black ink on white cardstock and then using the masking technique, I colored the sky by sponging Memento Summer Sky, Nautica Blue, and Paris Dusk inks to create a cold blustery look using a circle cut out to mask a moon which I sponged lightly with Memento Cantaloupe ink. I created the hills with torn curved pieces of paper and used for masking the hills that I sponged lightly with the blue inks. 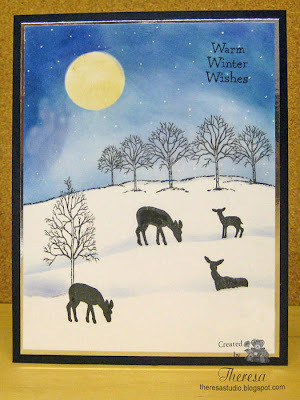 I added snowflakes falling in the sky with a white gel pen. I matted the image on a metallic silver cardstock which did not photograph very well and adhered to a card base of dark blue cardstock. The tree and deer stamps are from GKD "The Northwoods" and "Life is Good". The sentiment is from Flourishes and also stamped in Tuxedo Black ink. Speedy Fox and Friends Challenge 176: Mask it. This week there have many back to school challenges which I am not usually interested in but decided to one since I do have a perfect stamp set "Lesson Learned" from Mark's Finest Papers for this theme. Starting with a bright yellow card base, I added a mat of Red Cardstock embossed with Chevron EF by Darice. On White card stcok I stamped the desk, the blackboard and repeated sentiment with Memento Inks.. I colored with Memento Markers. The large apple is one that I made with shrinky dink. I added the "ruler" which I made by printing a tape measure on a copier machine and found some leftover in my stash. I did mask the desk seat to hide a letter. 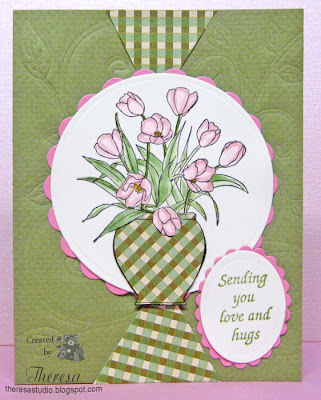 For Flourishes September release challenge, all you need to do is create a Shaped Card OR a 3D Item. You can either create a card using any non-standard shape or a lovely box, ornament, home decor item, or anything 3D. I decided to make a shaped card using Nesties oval dies and scalloped oval dies and layers of orange and yellow cardstock. 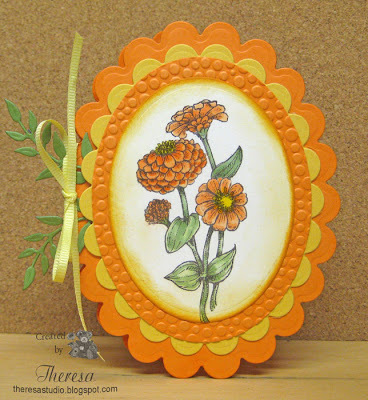 For the focal image I stamped Flourishes Zinnias on ivory Cardstock with Memento Espresso Truffle ink and colored with Copics G21,G40,Y06,07, YR 00,02, I sponged the edge with Distress Ink Wild Honey. I embossed one layer with Cuttlebug EF Tiny Bubbles. Finished with yellow ribbon and a bow and a couple of branches cut with Cheery Lynn Olive Branch Die on the folded side of the card. 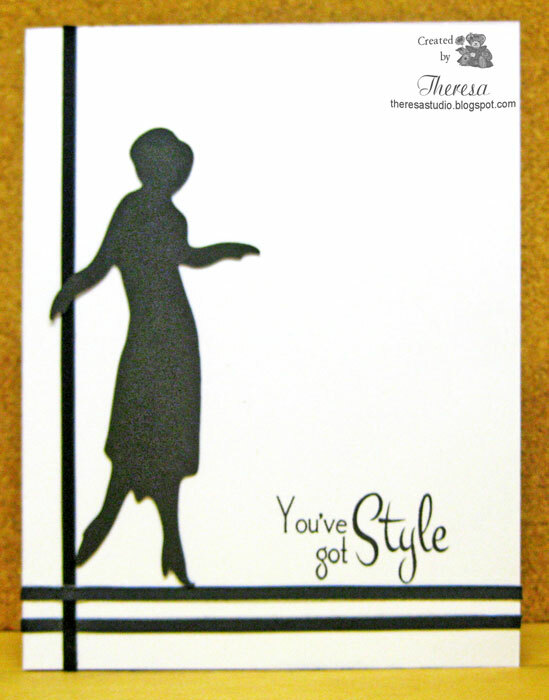 My style is very clean and simple for this card made with a silhouette die cut out from Crimson Cloud "Elegant Ladies" which I paired with some narrow black satin ribbon and a very appropriate sentiment from Mark's Finest Paper stamped in Memento Tuxedo Ink on white Cardstock. I think this card may take the honor of being the quickest card that I have ever made....which shows that a good card does not have to take hours to create. I won this die from a challenge and have just been waiting for the right card to use. Second post today. This card was made using the Sketch #S413 from Repeat Impressions shown below. 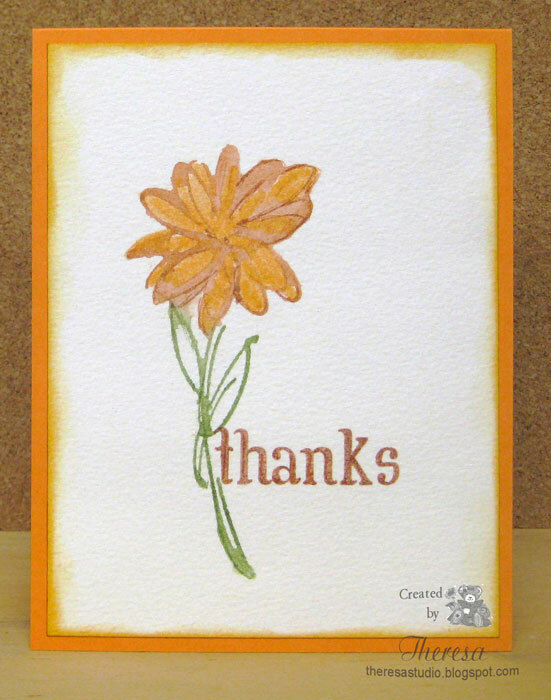 I used Repeat Impressions stamps Tulips in a Vase stamped with Memento Espresso Truffle ink and their sentiment. I paper pieced the vase but I think it came out a little busy with the pattern paper. 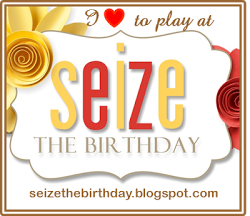 I also embossed the background with a Cheery Lynn Flourish die for some texture but not that happy with the outcome. 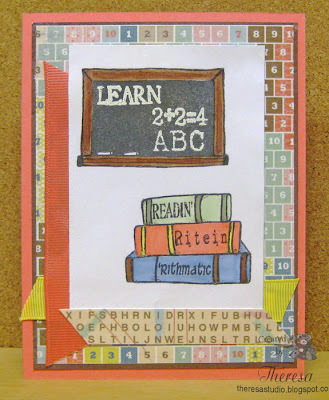 This is one of those cards that I may do a redo. But it is what it is. I colored the image with Copics RV000, RV11, G21 and G40. Memento Bamboo Leaves ink was used for the sentiment. 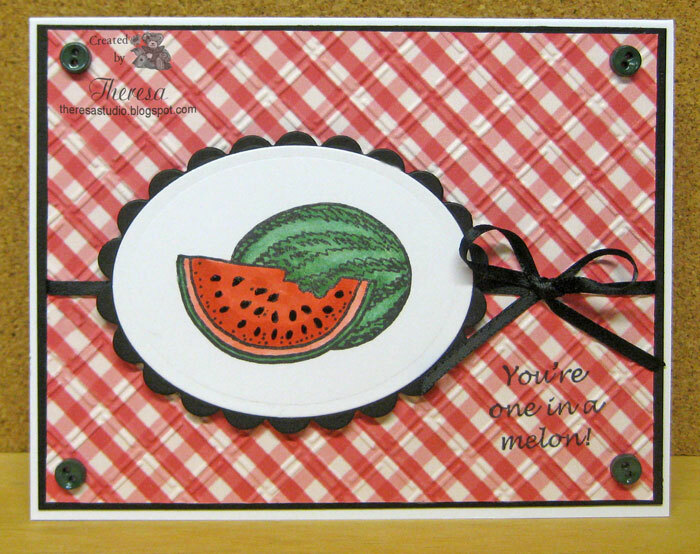 Other supplies: Nesties circle, scallop circle, oval, and scallop oval dies. Green, Pink, and Ivory Cardstocks from stash, and a scrap of pattern paper. A product sold at Joan's Gardens. I have used pattern papers from Webster's Pages pad Your Life Beautiful which was from Joan's Gardens. My colors of greens, red and natural are warm and cozy. I found the wooden snowflakes in my stash and left them their natural color. 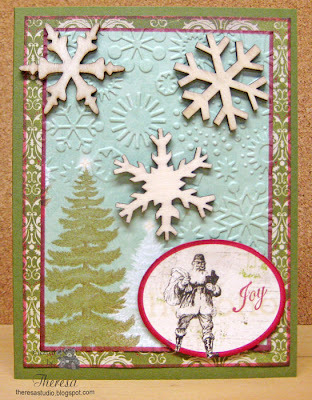 I have both trees in the pattern paper and a Santa on a punch out icon from Authentique Wonder Collection. For edging the pattern paper, I used Memento Rhubarb Stalk ink which is available at Joan's Gardens. 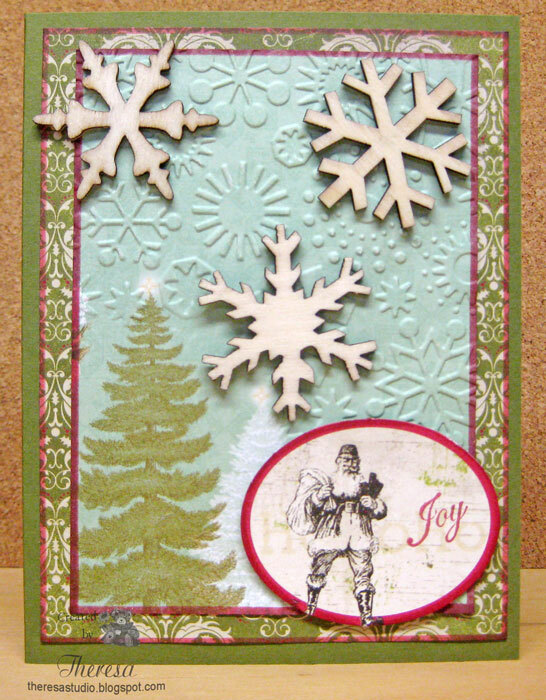 I used Cuttlebug EF Snowflakes for some texture. 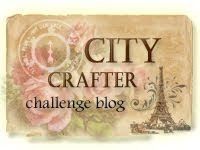 Craftyhazelnut's Christmas Challenge: Layer it up. This card was made for several challenges. I stamped the fairy image from Flourishes Garden Fairies with GKD Black Onyx ink on white cardstock and colored with several Copic markers and sponged the sky with Memento Summer Sky ink. I added some sparkle to the wing and dress of the fairy with Sukara Clearstar Pen. I stamped a second butterfly and fancy cut it and attached with glue dots to the image. I used a sketch from Tuesday Morning Sketches to assemble two pattern papers from MME Indie Chic Saffron on a card base of ivory. Added 2 strips of a pink satin with organza ribbon and a ribbon and bow of yellow satin ribbon. 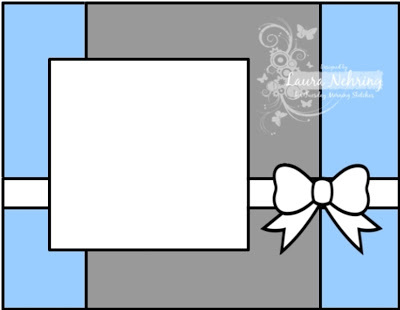 Popped up the image with pop up dots to finish the card. 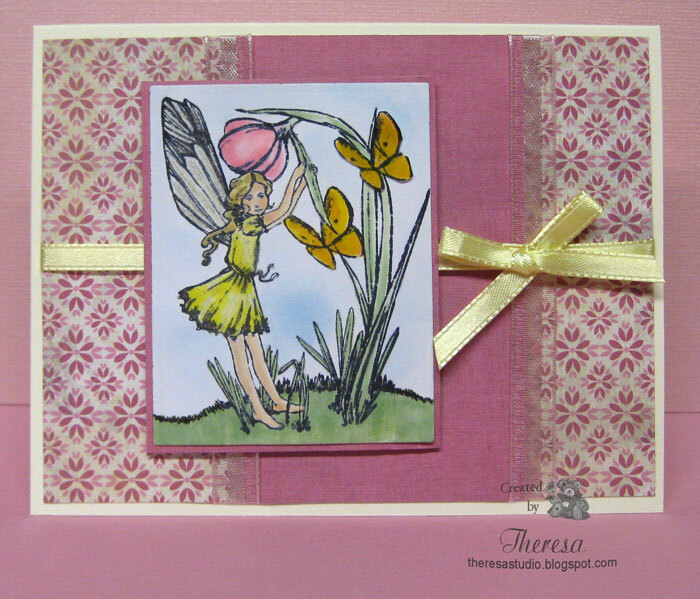 Craft Your Passion: #178 Do you believe in Fairies? I used a check paper from Webster Pages Park Drive 6x6 pad that I won from Joan's Gardens for my background and placed it on a card base of Brown Cardstock. 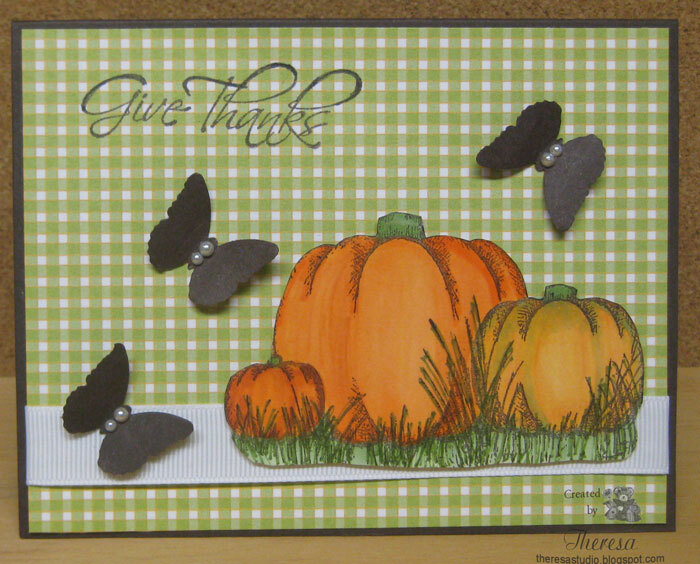 I stamped the pumpkins in Memento Espresso Truffle ink on White Cardstock using Heartfelt Creations "Rustic Autumn Wheel" stamp but only used the pumpkin portion of the stamp that I fancy cut. I colored this with Copics. I added a strip of white grosgrain ribbon , then popped up the Pumpkins across the ribbon. The Brown Butterflies were cut with a Martha Stewart punch and embellished with pearls. I finished with the sentiment from the same Heartfelt Creations set stamped in the Espresso Ink. 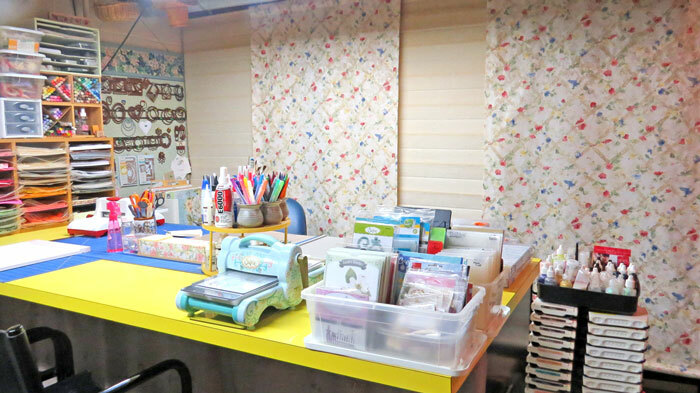 Joan's Garden also sells Memento Ink, Martha Stewart Punches, and Heartfelt Creations products. Check out Martha Stewart here. Our Creative Corner: Forgotten Things. I used a stamp that I had forgotten but found when looking through fall stamps stored away.